We are fortunate in our founders whose vision launched a new idea and continues to inspire our work. We are also grateful to our current directors (shown below) for devoting their time, energy and expertise to the task of building and growing A2Ethics. Martha has devoted much of her personal and professional life to nonprofits, particularly those with a community focus. In 1997, after 15 years in volunteer and lead roles with agencies from Washington, D.C. to Los Angeles, she joined the staff of the Ann Arbor Area Community Foundation (AAACF). There, she managed competitive grant programs, donor-advised funds and the Youth Council along with handling special projects—work that brought her into contact with a wide array of nonprofits and a diverse group of philanthropists. Martha also helped launch the first Intentional Communities of Washtenaw (ICW) site at Summerfield Glen to provide housing and support services for developmentally disabled adults, including one of her four children. Broad spectrum experience in program development, a deep knowledge of the local community, and proven expertise in private/public collaborations are among the many skills that make Martha a crucial part of our team. A founding board member of A2Ethics, her most visible role is that of official time keeper at our annual, pleasantly rowdy Big Ethical Question Slam. With her prodigious whistling skill, she keeps contestants within their time limits—and our ethical boundaries. A specialist in mediation and organizational learning, JoAnna began her career in leading administrative roles at Kings County Medical Center, in Brooklyn NY, the State of New Jersey Division of Public Welfare and Cornell University. JoAnna is a graduate of Brooklyn College of the City University of New York and earned her MSW at the University of Michigan. Since moving to Ann Arbor more than 35 years ago, she has designed and implemented team training , learning and coaching programs for business, industry and other organizations throughout Wayne and Washtenaw Counties for the University of Michigan, Eastern Michigan University and Washtenaw Community College. 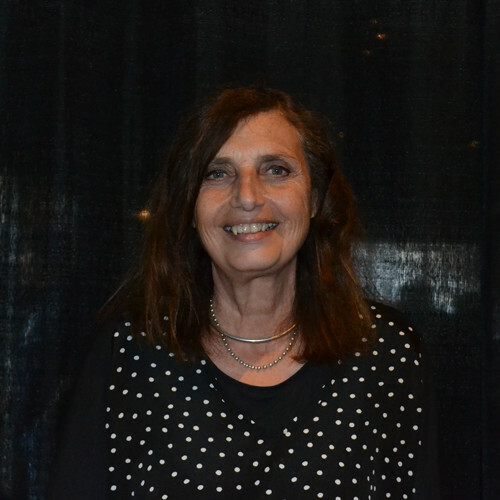 She is currently retired as a community mediator with the Dispute Resolution Center (DRC) in Ann Arbor and the Wayne Mediation Center in Dearborn and with BDL Mediation. JoAnna is married, has two grown sons and four fabulous granddaughters and is currently owned by her five year old and quite spunky cocker spaniel, Abbey. JoAnna’s introduction to A2Ethics came by way of The Big Ethical Question Slam, where she competed for three years as a member of the DRC team. She was instrumental in conducting research and advocating for the landmark Ethics Education for Local Elected Officials Resolution, unanimously adopted by Ann Arbor’s City Council in 2013, the Participatory Budgeting event and the A2Ethics Internship Initiative. Her expertise in reconciliation has proven indispensable as we seek to encourage civil discourse among those in our community with opposing views. Jeanine has been an educator for almost 50 years. She taught and lectured in the humanities to students of all ages, from middle schoolers to college undergraduates, beginning at The Collegiate School and the University of Richmond in Virginia. Throughout her years as an educator, she has always returned to her first passion: ethics. In 1979, she returned to her hometown, Ann Arbor, and began her advocacy for philosophy and ethics education. Because of her work, Ann Arbor Greenhills School was one of the first nondenominational, independent schools to offer applied ethics, a course which Jeanine taught for 24 years. 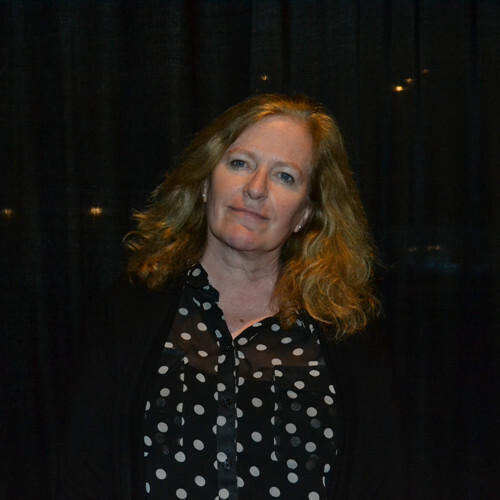 In 1990, she introduced a sport ethics elective into the curriculum and served as lecturer in the Sport Management department at the University of Michigan's School of Kinesiology. Jeanine's other passion includes striving for social justice. She founded or co-founded two other nonprofit organizations, both with missions to open up opportunities to underserved children and youth. Aquademics, a youth of color academics and aquatics program, won two youth service awards and a place in Michigan sport history. The Academy for Sport Leadership has grown into Michigan's preeminent athletic coaching education program for young women. As the organization’s principal founder and current president, Jeanine inhabits many roles—serving as director of strategic planning, educational outreach and fundraising. She excels at translating big—and sometimes quirky—ideas into sustainable programs. She also serves as the primary spokesperson of A2Ethics. Jeanine also serves as a member of the National High School Ethics Bowl steering committee, located at the University of North Carolina Parr Center for Ethics. She received her master’s degree from the University of Virginia in political philosophy. Jane graduated from the University of Michigan’s Ross School of Business with a degree in Business Administration. For the past 31 years, she has worked for Ford Motor Company, where she currently serves as a Treasury Project Manager. In that capacity, she oversees the development of a Global Treasury Management system to support all aspects of the company’s Treasury requirements. Her expertise over the years has enabled her to become an industry expert. She has been a frequent speaker at Treasury Management conferences around the world. A longtime resident of Ann Arbor, Jane has served on numerous nonprofit boards in capacities ranging from member volunteer to President of the organization. She has also been an active and energetic volunteer within the community. 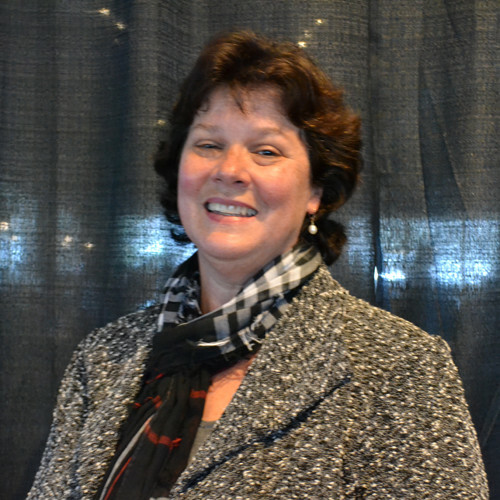 Among the many groups that have benefited from her time and energy are Huron High School and Perry Nursery School, where she has chaired various committees and worked on projects that primarily focused on establishing solid financial planning in the areas of investment, auditing, and pension funding for the organizations. Since 2014, when Jane joined the board, A2Ethics has benefited from both her time-tested skills in managing large-scale projects and her strategic planning expertise. She has served as moderator of the Michigan High School Ethics Bowl for two years and has also been involved in initiating the A2Ethics Internship program. 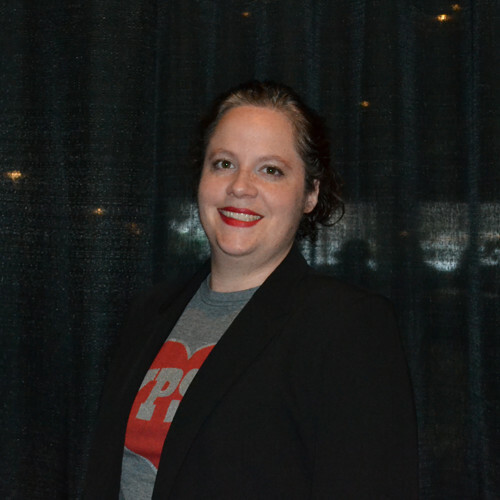 In her current role as program specialist for Girl Scouts Heart of Michigan, Erin identifies leadership initiatives, organizes major events and manages volunteer and mentor training. Soon after graduating from Bowling Green State University with a degree in environmental science, she gained fast-track experience in public programming for science education centers. That experience was strengthened by positions at Toledo’s Center for Science and Industry and the Ann Arbor Hands-On Museum. She continues to nurture her interest in science through an ongoing affiliation with the Association for Science and Technology Centers. Fortunately, Erin also makes time to serve as a volunteer and board member for A2Ethics.org, where her experience in community programming has proven invaluable. As a board member, she shines as someone able to adapt successful ideas from other programs to A2Ethics projects. Erin is best known in her public roles as the MC for our annual Big Ethical Question Slam. She has been an energetic proponent in making our Ethics Slam portable to other cities, including the launch of the Ypsilanti Big Ethical Question Slam in 2016. Erin has also contributed to our Working Ethics podcast series and served as a very fine moderator since the inception of the Michigan High School Ethics Bowl. Rick Price is excited by the energy and creativity he has found in A2Ethics and is looking forward to contributing to future initiatives. Rick has a continuing interest in high quality efforts to promote youth development. He chaired the American Psychological Association initiative identifying exemplary programs throughout the United States that promote human development, resulting in the volume, "Fourteen Ounces of Prevention." He is also interested in improving programs aimed at youth development, and has served on the Board of Trustees of the William T. Grant Foundation, and as an advisor to the Institute of Medicine, the National Institutes of Health, and the Carnegie Corporation. Closer to home in Ann Arbor, he has served on the Board of Greenhills School and now serves on the Community Allocation Committee of the Ann Arbor Rotary Club. Rick is Professor Emeritus of Psychology and Organizational Studies at the University of Michigan where he served as Founding Director of both the Organizational Studies Program and the Barger Leadership Institute. 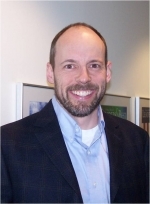 At Michigan's Institute for Social Research, he and his colleagues created a program to improve working life and health that was adopted by a variety of government agencies throughout the United States, Europe, and Asia. Teri has recently retired from full-time employment after an interesting career in nursing that has involved both international and local connections. Her education at the University of Michigan took her to China to study the health care system, and she ended up working in the Middle East for several years. She then returned to Ann Arbor, where she has worked with Hospice and Palliative Care for the past 25 years. Her international work has given her a great focus on the importance of culture in the delivery of health care and also in the arena of ethics. She has served on the Ethics Committees for Saint Joseph Mercy Hospital and for Arbor Hospice and currently is a consultant for Angela Hospice, co-chairing their Ethics Committee. She also serves as a founding board member of the Children’s Palliative Care Coalition of Michigan. She is a guest lecturer on Hospice and Palliative Care at U-M Schools of Social Work, Pharmacy and Public Health and has also lectured internationally in Japan and Malawi. She came to A2Ethics via the Ethics Slam, leading a team from Arbor Hospice for several years that won the Philosopher’s Hat and the first International Competition. She has also been involved with the High School Ethics Bowl, providing a case scenario. Teri has most recently served as a judge. She is currently training to be a Docent at UMMA. She has always been involved in music as a member of church choirs and sings each year with the Monroe Community Chorale in their annual performance of the Messiah. Jennifer’s career in journalism has taken her from the urban centers of America to the capitals of Europe. That international experience, coupled with a mastery of social critique, make her uniquely qualified to help A2Ethics sharpen the focus and broaden the relevance of our Ethics Without Borders programs and podcasts. After receiving her masters degree from Northwestern University, Jennifer worked for American Lawyer Magazine before moving on to Manhattan, Inc., where she covered the news media, and later The Washingtonian. In 1990, she and her husband, also a journalist, began a 20-year overseas stint that included postings in London, Brussels, Paris and, most recently, Cairo. Since then, her work for the New York Times style and travel sections has taken her from Las Vegas to Vietnam. She is currently staying closer to home as the assistant content editor for digital and social media at the U-M Alumni Association and a member of the U-M Student Publications Board. That said, Jennifer's bags are always packed, including one for the family pet who has been given a passport and has stamps to prove it from several countries in Europe to the Middle East. An active supporter of southeast Michigan revitalization efforts, Jennifer co-founded Creative Voice, a social media-based journalism source covering the arts scene. 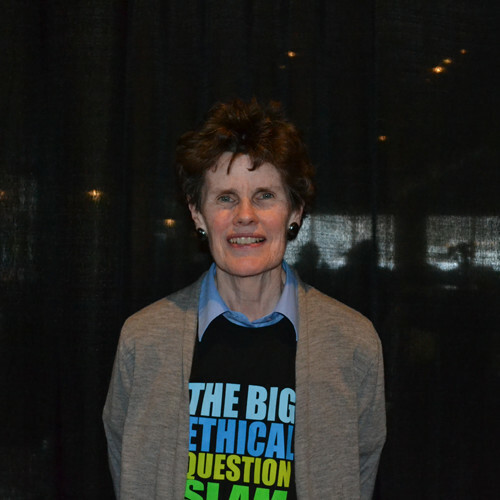 Before joining the A2Ethics board in early 2012, she served as a judge for the Big Ethical Question Slam. In 2013, she authored an article for The Rotarian Magazine that introduced more than 750,000 readers to the Slam. When John joined the A2Ethics.org board of directors in 2014, he brought with him expertise in two areas of particular importance to a nonprofit such as ours. As regional development director for the University of Michigan’s College of Literature, Sciences and the Arts (LS&A), he raises money for Mathematics, Statistics, the Program in the Environment and the U-M Biological Station—making him a valued resource for our fundraising efforts. 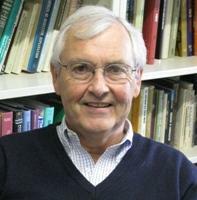 As former chapter director for the Sierra Club of South Carolina and a past member of the Ann Arbor Greenbelt Advisory Commission, he is a fount of knowledge on conservation issues such as water stewardship and environmental justice—an area of interest and concern in our Ethics Without Borders podcasts and programs. Before joining the board, John was a volunteer for Slam 4. He also served as official score-keeper for the first Michigan High School Ethics Bowl. Topping his list of recent contributions is A2Ethics’s new Internship Program. Open to all local college students, the internship provides valuable work experience for undergraduates while simultaneously developing a corps of individuals focused on working for socially responsible, ethics-based enterprises. John has a PhD in English literature from the University of Michigan. Shoham joined A2Ethics as an intern in 2016 while a student at the University of Michigan, and has continued providing part time policy and communications support since then. Shoham graduated with distinction from U of M with a BA in Political Science. During her time at U of M, she served as the editor in chief of the student neewspaper, The Michigan Daily, and interned with the Department of Homeland Security's appropriations team and U.S Sen. Gary Peters. She now works for the Civic Consulting Alliance in Chicago as an Analyst, with a focus on the firm's economic vitality and criminal justice platforms.